Plattsmouth drivers looking for a rugged and powerful light-duty truck have several options to consider. At first glance, the 2017 Chevrolet Silverado 1500 and 2017 GMC Sierra 1500 seem closely matched; both have an available 6.2L V8 that offers up to 420 hp, and both have a variety of tech options such as 4G LTE Wi-Fi and an 8-inch color touchscreen, but there are also a few key differences that will be important to Indianola drivers. We’ve taken a look at both and compared them side-by-side to help Norwalk drivers choose the truck that’s the best fit for their needs. Read on to learn more! 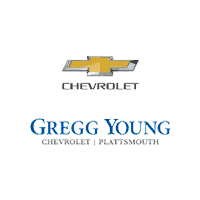 If you’re considering a truck for your next vehicle, chances are you have intentions of toting equipment, hauling gear, and towing trailers throughout Plattsmouth. While both the 2017 Chevrolet Silverado 1500 and the 2017 GMC Sierra 1500 offer several powerful engines to choose from, including a 420 hp 6.2L V8, the Silverado 1500 far surpasses the Sierra 1500 in terms of towing capacity. 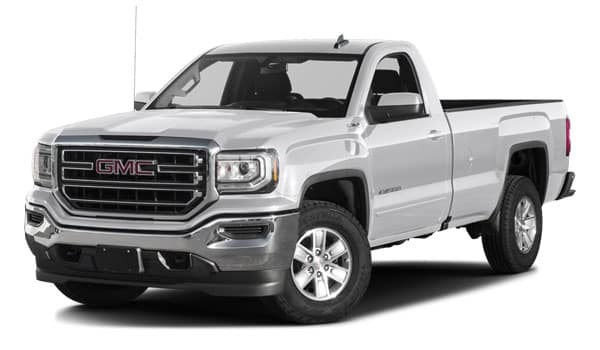 The GMC Sierra 1500 tops out at 11,800 lbs for towing capacity and a 2,110-lb total payload. Compare that to the 2,250-lb payload and best-in-class 12,500-lb towing capacity of the Chevy Silverado 1500, and it’s clear that there’s no contest. When you want a light-duty truck with heavy-duty hauling power, the 2017 Chevy Silverado 1500 has you covered! Since it would be difficult for a single truck to possess the exact combination of features and enhancements that every Norwalk driver wants, it’s important to have a variety of trim levels to choose from. The 2017 GMC Sierra 1500 offers five trims – Sierra, SLE, SLT, All Terrain, and Denali – to help you select a truck that has the upgrades you want without tacking on other items you may have no use for. The 2017 Chevrolet Silverado 1500, however, takes it a step further, offering eight exciting trims for Indianola drivers to choose from! 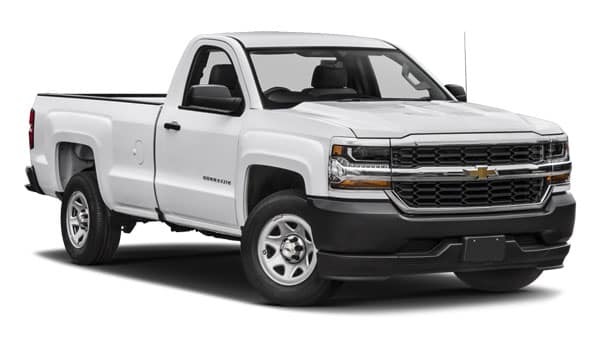 Whether you opt for the base Work Truck, the top-of-the-line High Country, or any of the six unique trims in between, there’s sure to be a 2017 Chevy Silverado 1500 that’s got everything you’re looking for in a truck. Drive the 2017 Chevrolet Silverado 1500 Today! If you want the power to tow and the ability to choose the combination of upgrades and features that matter most, then the answer is simple: the 2017 Chevrolet Silverado 1500 is an ideal choice for Plattsmouth drivers! To arrange a test drive and experience the Silverado 1500 for yourself, you can send us a message online, reach us by phone at (402) 296-3210, or simply stop by our showroom. You can find us at 302 Fulton Avenue in Plattsmouth, NE. We look forward to making your new truck dreams come true!